Summer is near, which means fun in the water for you but not necessarily for your pet. 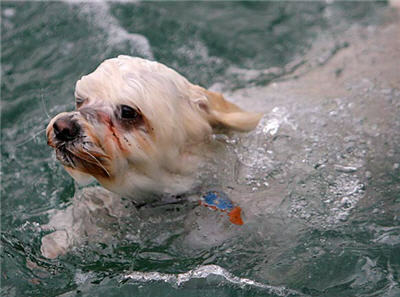 Did you know that more than 170,000 dogs, cats and other small animals drown every year? Most people don't realize that while the majority of animals can swim, they can't necessarily get out by themselves! 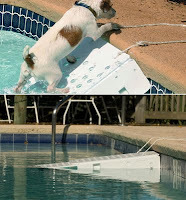 Many pet owners try to protect their pet by training them to swim to the pool steps to get out of the water. This works fine in a daylight, non-threatening environment, but at night or if panicked, a dog will panic and forget it's "landmark." Animals can't see the steps for the very simple reason that they are under the water. Pet drownings are preventable! To help prevent such senseless accidents, install a ramp in your pool, to your boat or floating dock. A lightweight, durable and easily installed ramp, such as a Skamper Ramp, will ensure your pooch or kitty can easily exit the water. To learn more about Skamper Ramp's and how they can save animals lives then click here. 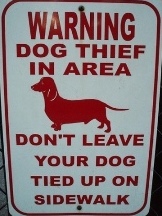 What To Do If Your Pet Was Stolen! 1. Make sure you have your pet microchipped even if they stay in the house all the time (like cats). You never know when someone might accidentally let them out. 2. 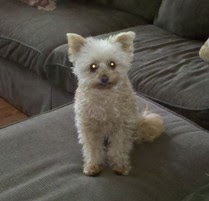 Don't leave your pet outside in your yard unattended while you are at home and especially when you are not at home. Stay out there with them as they enjoy the yard. You can get some fresh air too. 3. Don't leave your pet in a vehicle unattended. 4. Don't let people you don't know or don't know well watch your pet or walk your dog. 5. 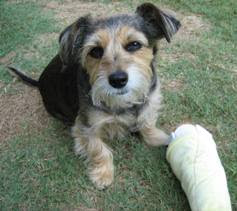 Make sure you keep up-to-date photos and written descriptions of your pet just in case of an emergency. 6. Beware of strangers in your neighborhood. Report an unusual or suspicious behavior to the Police and/or Animal Control immediately. Make sure you write down the license plate numbers of suspicious vehicles that you see. However, word of caution -- don't be too obvious that you are doing it. 7. 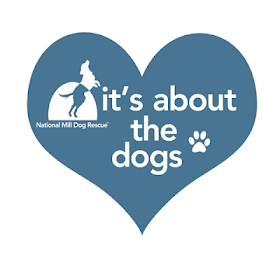 Don't talk to strangers about the value, bloodlines, training or special abilities of your pet. 8. If a stranger approaches you about buying or breeding your pet, tell him the pet has been spayed or neutered (even if it hasn't). Write down the person's name, address (if you can get it) and license plate number. Make sure you keep a close eye on your pet afterwards! 9. Spay or Neuter your pets. This will make them less inclined to wander and eliminates any resale value for breeding purposes. If you suspect that your pet has been stolen then click here for instructions on what to do. Remember, time is of the essence so don't delay. Act quickly! Leaving Pets In HOT Vehicles = DEATH! Via My Dog Is Cool! I was so upset the other day. I parked next to someone that left their two Boston Terriers in their vehicle on a warm day so they could go into Petsmart. 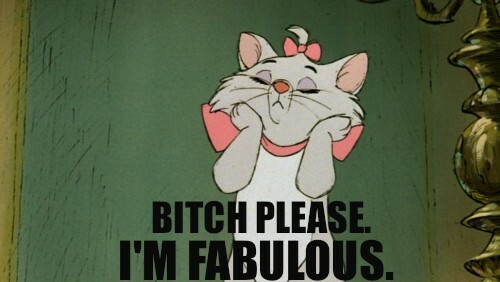 Yes, I said Petsmart! You know, the store that not only allows pets but welcomes them. They left their dogs in their vehicle for over 20 minutes with only a small crack in two windows. This is NOT adequate ventilation for air to flow through your vehicle. I went inside and had the license plate called over the intercom. When the vehicle owners didn't respond I called the police. The dogs were overheating so bad that they were about to pass out. The people finally showed up and said the typical line, "We were only in the store for 5 minutes." Ugh! That pisses me off so bad. I have seen dogs die in vehicles before and until now (a new law has been passed in South Carolina and other states) you couldn't do anything about it or the police would put you in jail for opening up someone else's vehicle to save their animal. Needless to say, I gave them a good stern talk about the dangers and gave their dog's some water. I don't like having to talk to people about this but if it saves just one animal then it is worth it. I continue to see this happen over and over again and I just DON'T get it! Intelligent people, ignorant people and just plain stupid people do this. The problem is that they just don't think....think about anyone else but themselves. Can you tell that this really upsets me?! Sometimes, I think that there might be good intentions there. People want to bring their animal along because they love car rides. They think that they will only be in a store "for just a second" and then they wind up leaving their pet in a car for longer than anticipated. 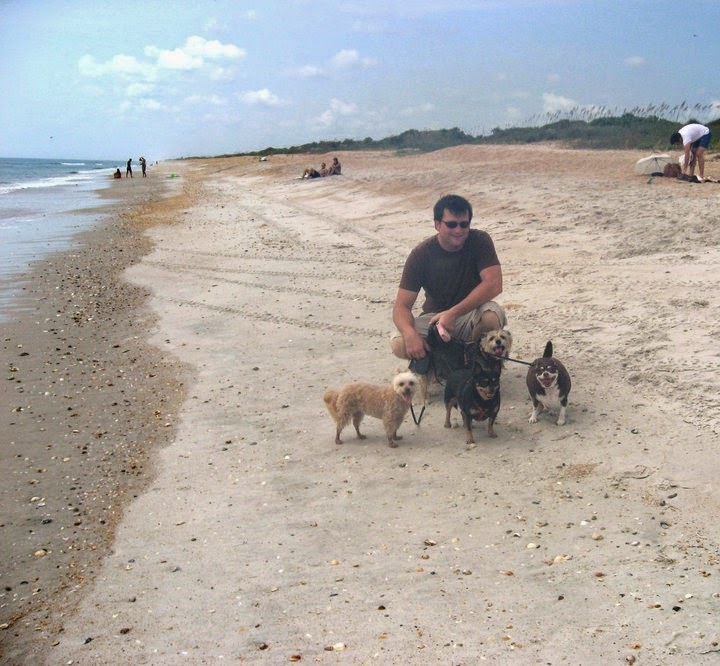 Here's a tip - If your pet's love car rides then make a special trip and take them for one. Drive slow and crack the windows so they can feel the air on their faces. The car ride doesn't have to take long - just a trip up the road and back. Your pet's will be so happy and you won't have to worry about leaving them in a hot car and killing them. 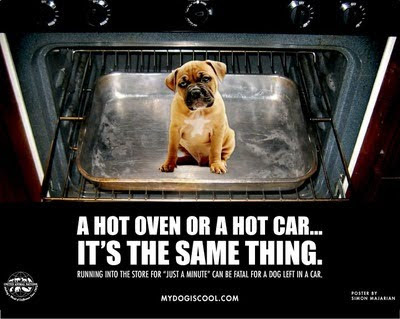 When the temperature outside is over 55 - 60 degrees....don't leave your pet in a vehicle! The vehicle (even on a cool cloudy day) can heat up very fast. Just think about it this way. Think about a very large glass cake cover. You then place this large glass cake cover on asphalt in the hot sun and then place yourself in it. Within minutes (sometimes seconds) the area within the large glass cover starts to rapidly heat up and the air in the glass cover gets hot and dry. It gets harder for you to breathe the longer you are in there. Next comes heat exhaustion and then you feel like you are going to pass out. Then comes heat stroke and after that comes death! Yes, DEATH! Obviously, I am very sensitive and passionate about this subject. So many people say they love their animals but they don't act like it. I did a blog post last summer about this very important subject. Click here to read it. It just may save your pet's life!